Watching Durham Bulls Baseball: Sweep on the Road; Where's Jeff? The Durham Bulls did a nice job of messing up the Gwinnett Braves home opening series by sweeping them. They are up to five in a row. Nate Karns showed off his talent for the first time in a Bulls uniform and was very impressive in his first AAA win. The quirk of the game was the Bulls’ 12 hits, all singles. That was enough, but if they had lost I’m sure we’d have been writing about the 16 runners who got left on base. In addition to the 12 singles, 7 BB and 1 HBP, put a lot of guys on base. 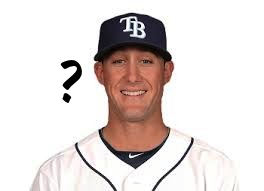 So far this year Jeff Beliveau has pitched 6 innings in relief, 4 for the Bulls and 2 for the Rays. But there’s really no telling how many frequent flier miles he’s piled up. His first game (2 innings) was in Durham on April 5th. Then he was off to pitch an inning for the Rays in Kansas City on Wednesday, April 9th. He was back with the Bulls in Georgia to pitch a couple of innings on Friday the 11th, then off to pitch an inning for the Rays in Cincinnati yesterday (the 13th). At at guess he’ll stick with them for a while. Hard to tell given the turmoil in the Rays’ starting pitching ranks. How’s he doing? Not bad. ERA of 0.00 overall. 1 hit, 0 BB, 7Ks. The Bulls are off to Charlotte to take a look at their shiny new stadium. The Knights’ pitching is the best in the International League, but the Bulls are improving. These two teams may turn out to be the key matchup in the IL South for 2014. After these two games, the Bulls will be back in Charlotte for four more games next week and then won’t play them again until May 13th, in Durham.